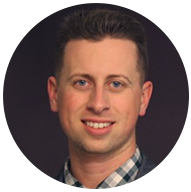 The Smart Solution to Optimizing Patient Flow - Have You Tried This? Patient flow is defined as “the ability of a healthcare system to serve patients quickly and efficiently as they move through stages of care” according to NEJM. But as you know, serving patients efficiently in the current healthcare delivery model is easier said than done. To accomplish this ask, health systems must find new ways to change the entire patient journey for the better, in ways that make it possible to speed up the patient flow. For nearly a decade, hospitals have worked to slowly improve this process through the implementation of on-site kiosks and to a lesser degree – mobile. In this blog, I’ll share 4 reasons why mobile apps are a great way to help improve the friction that exists in keeping patients moving quickly and efficiently through each stage of the on-site care process. No one likes showing up to find themselves at the back of a line in a crowded waiting room, not knowing when they might be seen. That’s what happens every day in emergency rooms across the country, which is why many regard as the ER being one of the leading culprits to patient flow problems they experience regularly. According to a CDC study, patients normally wait 30 minutes on average, plus another 90 minutes receiving treatment, for a grand total of about two hours in a facility. While several factors can contribute to this, many patients don’t have any idea of how long they can expect to wait before arriving. That’s where we have seen apps come into play. By adding up-to-date wait times streamed directly to the patient’s mobile device, patients are given the visibility and options they need to make the best decision possible. 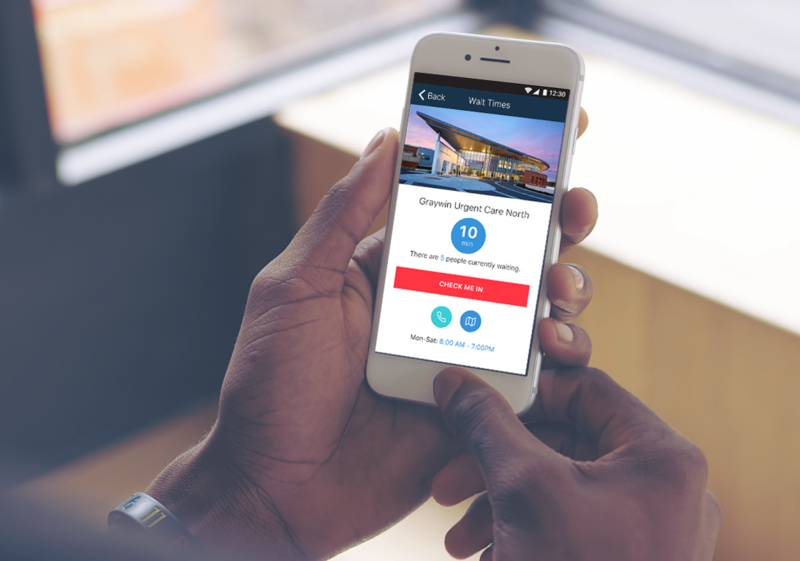 As an example, one of our clients, Tanner Health System uses their app to display wait times at their nearby urgent care centers. This helps patients determine whether or not a nearby Urgent Care (in the Tanner network) may be more appropriate vs. the Emergency Room. Keeping patients aware of this type of this type of information is beneficial when addressing overcrowding, but a larger solution can also help teams track their progress towards patient flow goals over time. We work with a partner of our Jellyfish Health, to provide emergency departments with a complete solution specifically aimed at gaining visibility into the root cause of the problem – more than just check-in and check-out data! A major problem in the patient flow process is often times the lack of a formalized process to ensure patients know what to do before, during, and after a scheduled appointment at your facility. Take the entire surgical process, for example. Apps are an effective and practical solution for proving patients and families clear pre-op and post-op instructions – like what documents they need to bring, or insurance information they need to provide. Making sure patients know what they need to bring upon arrival is one thing, but actually making sure they show up prepared is another challenge altogether. Push notifications are an advantage for hospitals that prescribe perioperative apps to patients, since alerts and reminders can be utilized. Getting lost is also another large contributing factor to slow patient flow, eventually leading to crowded waiting rooms and even missed appointments. Studies have shown that somewhere between 40 to 50 percent of patients admit to having trouble getting to where they need to be, with around 30 to 40 percent getting lost according to some studies. 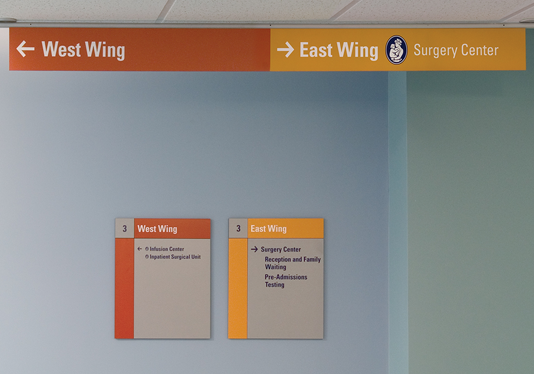 If navigation problems are common at your facility, wayfinding is an effective solution you can implement to help patients find where they need to be on time. Parking garages, hallways, and other structures are not always to easiest to navigate, but wayfinding is making that process alot easier. To learn more about the various options that are available, click here to learn more about getting started. Yes, the dreaded check-in process. Check-in can be one of the most time-consuming workflows in your hospital that contributes to decreased patient flow. If a modern system is not in place to combat a slow check-in process, the amount of time it takes for patients to be seen will continue to increase. On-site check-in using tablets is becoming more common, which is a good first start, but can be improved even further through the use of remote check-in through the use of mobile apps. Remote check in also allows your staff to focus on the things that matter, instead of focusing on handing out paperwork and trying to keep up with in and out times on a clipboard. We’ve found that many factors can contribute to increased dwell times at your facility – and there really isn’t one system or solution that can solve all factors that contribute to patient flow. Each health system is different, and yours may require a solution slightly different that the next. With this in mind, we partner with leading healthcare technology companies to provide the most comprehensive mobile option for healthcare organizations today. To get started, check out our Healthcare Access App blueprint that can be fully customized within 90 days to meet the needs of your ER, Urgent Care center, or service line.